Dr. Seth Oster of the Southeastern Raptor Center will present the final 2016 This is Auburn Speaker Series on Friday, Nov. 18, at 3 p.m. at the Auburn Alumni Center. Dr. Oster serves as the primary veterinarian at the Southeastern Raptor Center, where he focuses on rehabilitation. He is also an assistant clinical professor in the Auburn University College of Veterinary Medicine’s Avian and Exotics Service. During his talk, Dr. Oster will discuss the mission of the raptor center and how that translates to the work that is done there on a daily basis. “I will cover what our education section does, what our rehab section does, how we work with the students at the university and examples of research that we participate in and conduct ourselves,” he said. Those who attend the talk will learn more about the center’s operations and the Southeastern Raptor Center’s involvement with a project in Colorado last winter. Auburn’s eagles traveled to the Rocky Mountains to participate in research to help the U.S. Department of Energy’s National Renewable Energy Laboratory develop a radar system to prevent bird strikes in wind turbines. 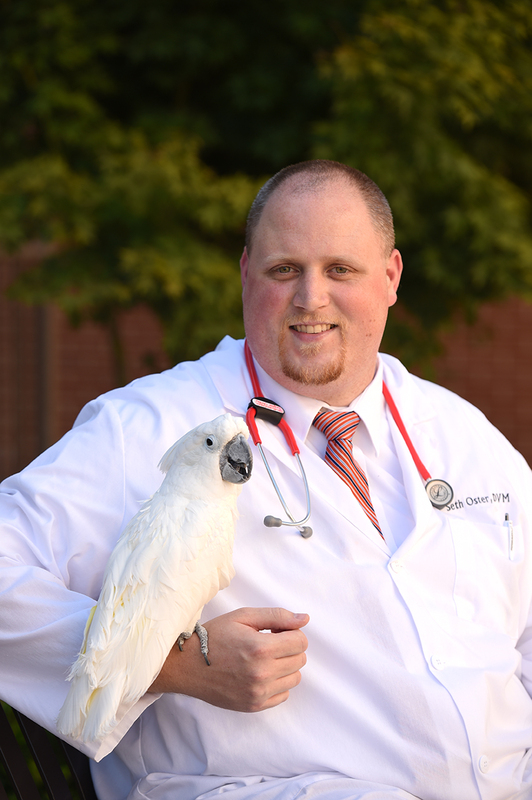 Dr. Oster received his bachelor’s degree in zoology from Auburn in 2009 and earned his doctorate in veterinary medicine from Auburn in 2012. During his time as a student at Auburn, Oster worked at the Southeastern Raptor Center. Upon graduation, he entered private practice where he saw small animals, avian and other exotic species. He continues to work with local wildlife rehab workers as well. He returned to Auburn University in 2015. Dr. Oster’s research interests include avian cardiac disease, protein electrophoresis in avian medicine and avian diagnostic imaging. For more information on the speaker series, go to http://www.auburn.edu/thisisauburnspeakerseries.